Here you will find some wedding photo shoots I had in my beloved Tuscany: I am lucky enough to live in an area full of breathtaking glimpses, historical cities and delightful medieval villages, a region that offers many solutions to satisfy the needs and the wishes of all those who dream to organize their wedding in Tuscany. 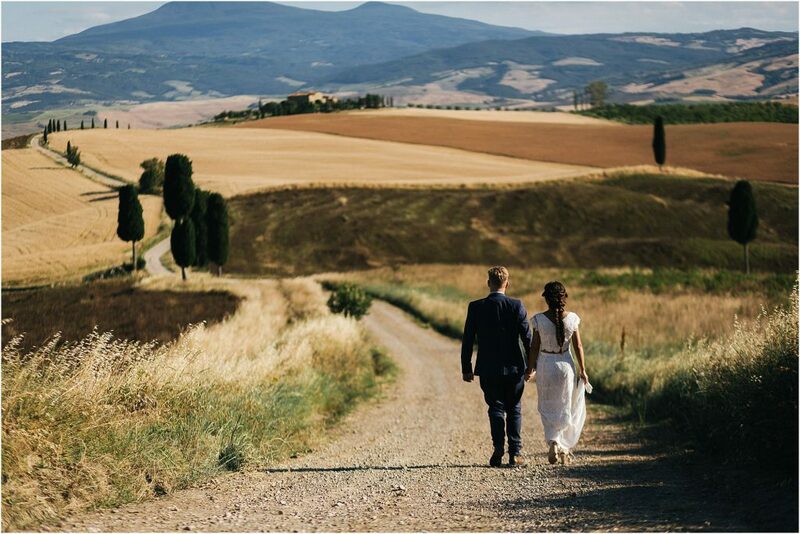 Here you can see some wedding photos taken in Florence, in the countryside around Arezzo and Siena, in the vineyards of the Chianti hills and in the splendid setting of the Val d’ Orcia. If you are looking for a professional photographer who perfectly knows, through a reportage style, how to spontaneously and with great sensitivity tell the story of your wedding in Tuscany, I could be the right choice for you. Take a look at my photo shoots and contact me for any further information, I will be very happy to give you the best memories of your wedding in Tuscany. Here you will find the wedding photo shoots I had the pleasure of shooting all over Italy. I love Tuscany as much as I love to discover the most beautiful and romantic places that characterize the Italian territory. You will find wedding photos taken in the beautiful Langhe in Piemonte, in the capital of Italian fashion, Milano, in the Romagna inland, in Rimini specifically, in the homey and colorful Costiera Amalfitana and Sorrento and in one of the most characteristic islands of Sicily: Pantelleria. If you are looking for a professional photographer who perfectly knows, through a reportage style, how to spontaneously and with great sensitivity tell the story of your wedding in Tuscany, I could be the right choice for you. I have taken all over Italy and contact me for any further information, I’ll be glad to support you, wherever you want to take me to. Could I be your photographer?